From first contact at North Queen Dental, our Etobicoke dentists are committed to your individual attention and strive to provide personalized oral health care tailored for your unique dental needs and goals. We work hard to create the ultimate stress-free and comfortable dental experience. Your health and comfort are our top priorities, and we do what it takes to help every patient understand their symptoms and treatment options in a relaxed office setting. 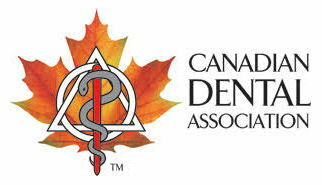 It is our mission to educate and provide our patients with the best dental care in Etobicoke. For that reason, we’ve designed this website to provide you with all of the important information you need to make healthy decisions about your teeth and gums. We encourage you to browse our office page, service details and patient education library whenever you have a question about our practice or your oral health. Achieving quality dental care shouldn’t be difficult, so at North Queen Dental we make it simple to achieve your healthiest, most beautiful smile. Whether you are looking for information on general dentistry, teeth whitening, crowns, preventive care, or periodontal exams, you can learn more about all of your options from our services page. For your convenience, you can also request an appointment online with our Etobicoke dentist and download patient forms directly from our website. Feel free to contact our Etobicoke office with any questions. We look forward to making each visit to our office a positive experience. Dr. Vouronikos holds a number of fellowship positions. 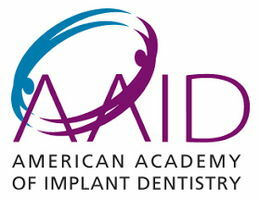 This includes an Associate Fellowship with the Academy of General Practitioner Orthodontics, a Fellowship with the International Congress of Oral Implantologists, a Fellowship with the American Academy of Implant Prosthodontics, a Fellowship with the Academy of Dentistry International and a Fellowship with the International College of Dentists. Dr. George Vouronikos has a particular practice interest in cosmetic dentistry, oral surgery, such as wisdom teeth removal & dental implants, orthodontics and root canal therapy. Dr. Mary has a particular practice interest in therapeutic Botox treatment, cosmetic and pediatric dentistry. dr george has been our dentist for almost 5 years now and he's the only person my daughter will see. she's seen a number of dentists in the past, and no one has ever been able to keep her calm like dr george ! Oh! at last an excellent dentist in my neighbourhood .